We, however, are not one of those companies. So rest assured that we can find what your appliance needs. Let us help locate those hard to find dishwasher parts that you have been searching for. 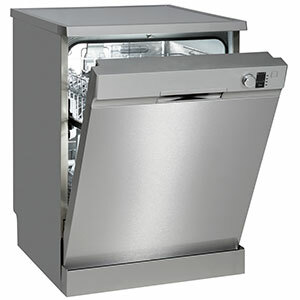 We offer the best dishwasher repair in Norman OK. We’d be happy to have you fill the next available appointment so that we can help resolve your dishwasher repair issues as soon as possible. It would be our pleasure to go out of our way to get your appliance back on track. Norman dishwasher repair is available to you from the top company in the area. Is your dishwasher not finishing its wash cycle or simply taking too long to complete? Alright then, let’s get right to it. Get a continuity tester and see if there is continuity in the heating element, thermostat, and timer motor. Any lack of continuity will be an instead red flag and a sign of the reason behind your problems. Next, make sure the water temperature, pressure, and fill level falls in line with what should be expected. The water inlet and fine particle filters can be cleaned out for optimal performance. If no luck, it’s likely a deeper mechanical problem.